Hobbies are music and bike riding: A couple of different ways to relax. Favorite sports announcer is Jon Miller: Miller was gaining prominence as a national announcer at this time. Favorite player as a kid was Earl Campbell: Interesting, a football choice. Campbell was a huge star for a short time. Might have been a maintenance man if he hadn’t been an athlete: Most players gave a grandiose answer to this question; Whiten stayed humble with his. Pet peeve is not getting his way: This answer is either really self-aware or really childish. Maybe both. Where he is now: Coaching youth baseball in Florida. For some reason the zipper catches my eye every time I look at this card. This was the oldest card in the stack, a '79 Kellogg Carl Yastrzemski. I like the ad behind Wilhelm in this picture. "Muffler?" Another '60s photo with a great background. Finally, some fantastic 19th-century hair. I'm in the process right now of updating my tradelist and found another Mattingly card that had slipped through the cracks. I traded it to Al for a card I remembered seeing last time I went through his box, but wasn't sure I had. I made a mental note to check if I had it, and actually remembered my mental note. Here it is, Tim Raines Gold Card. The Hotel McAlpin was the location for an important moment in baseball history. At the time of it's construction in 1912, it was the largest hotel in the world. In 1947, Jackie Robinson was living in room 1169 with his wife and baby when he got the call that he was going to be signed by the Brooklyn Dodgers. In 2001, the hotel was converted to luxury apartments and renamed Herald Towers. 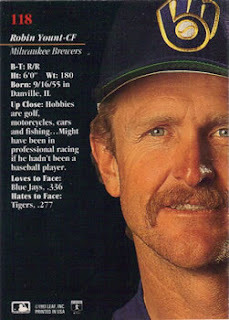 Hobbies are golf, motorcycles, cars and fishing: Frustrated with the Brewers’ losing ways, he threatened to quit in 1978, purportedly to pursue a career golfing on the PGA tour. His love of motorcycles is well known with cards and bobbleheads produced with him on a bike. Might have been in professional racing if he hadn’t been a baseball player: He has raced cars and bikes in charity events, so this claim is believable. Where he is now: A spring training instructor for the Brewers. It's Like Having My Own Cardshop is having a contest - to enter you have to do a post of nine cards. As I am looking to do more vintage trades, here are nine of the best vintage cards I have available to trade. Anyone interested in a trade do let me know! This is the oldest cards I have to trade, from 1966 Topps. 1968 Topps Phil Niekro; I have two of these to trade. 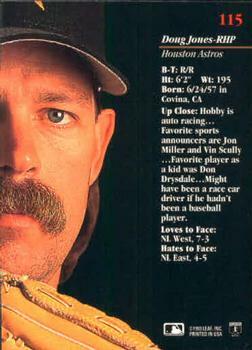 1970 card of blogger-favorite Hoyt Wilhelm. Two really good rookies on this card. 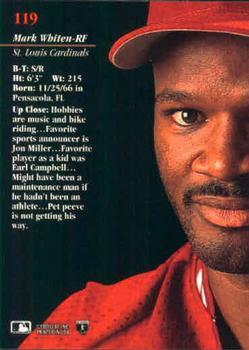 I also have two copies of this Hall-of-Famer available to trade. Another Hall-of-Famer in an unexpected uniform. Nice paint job on that cap. 1974 Topps Bob Gibson; I also have his 1975 available to trade. Rookie card of Hall-of-Famer Gary Carter. Hobby is golf: I haven’t counted but I think golf has to be the favorite. 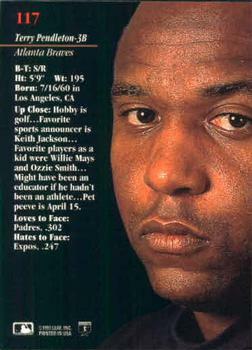 Favorite sports announcer is Keith Jackson: Another popular choice. Favorite players as a kid were Willie Mays and Ozzie Smith: Smith, who made his debut when Pendleton was 18, is only six years older than him. They were teammates for several years on the Cardinals. Might have been an educator if he hadn’t been an athlete: Pendleton did not go into education after his baseball career. Pet peeve is April 15: A tax reference, of course. But just for fun, Pendleton hit .310 (9-29, 4 2B, 1 HR) on April 15 for his career, well above his .270 career average. Where he is now: A roving instructor in the Braves organization. Big street trade with Al. He wanted one of every Mattingly I could find. That turned out to be 37 cards. I pulled a bunch of cards in return. When doing that there is always the danger of picking a card you already have. I got 14 right out of 18, hence batting .778. Some of the modern cards I picked out . . . The rest of the moderns. The Judge is from the Yankees team set; I still don't have a single card from 2018 base (though I do have the full Opening Day set). One vintage card, but what a card! Glad I didn't make a mistake about this one. You know I love finding these 50+ year old signs around the city. Hobby is golf: Like many ex-ballplayers Sprague has participated in charity golf tournaments. Favorite sports announcer is Chris Berman: Berman called him Ed “Ocean” Sprague. Favorite player as a kid was Johnny Bench: Sprague’s father, Ed Sprague Sr., was a teammate of Bench on the Reds. 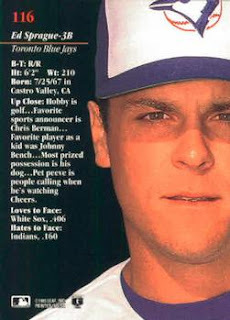 Most prized possession is his dog: He named the dog Norm, after the Cheers character. Pet peeve is people calling when he’s watching Cheers: Guess he really liked the show. I would guess Sprague probably has DVR today. Where he is now: Head baseball coach at the University of the Pacific. This "bishops-crook" style lamppost on Beekman Place, near the UN Building, is over 100 years old, one of the very few remaining of it's kind. Hobby is auto racing: Surprising that his contract would even allow it. Favorite sports announcers are Jon Miller and Vin Scully: Jones grew up in the LA area, must have been a Dodgers fan. Favorite player as a kid was Don Drysdale: Another Dodger answer. Might have been a race car driver if he hadn’t been a baseball player: Jones’s father was a factory worker who raced sprint cars on the side. Where he is now: A minor league pitching coach in the Rockies organization.